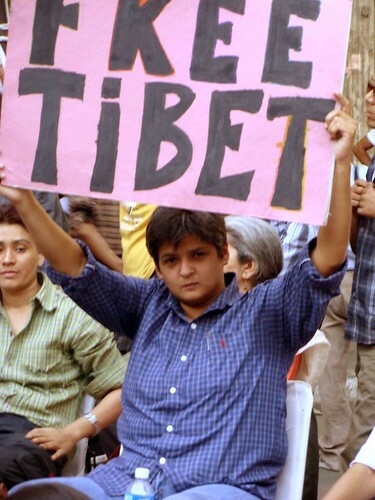 The year 2009 marks the 50th anniversary of arrival of Tibetans to seek refuge in India. 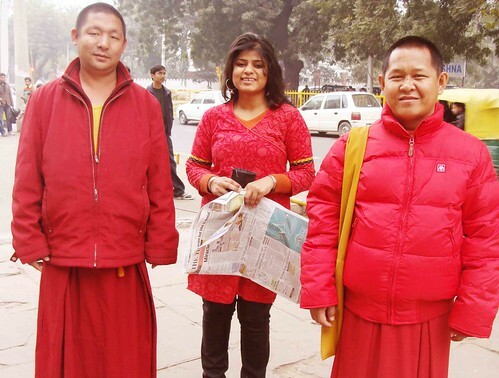 While Delhi gave a new home to them, The Delhi Walla finds out what Tibetans gave in return. Once in MT, do dine at Dolma House. 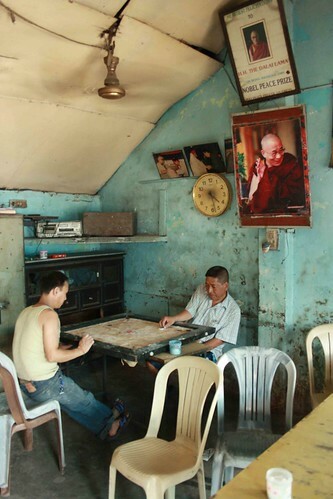 One of the oldest establishments here, the momos of this eatery are worth living for. Even if you are a die-hard butter-chicken fan, don’t fail to ask for the veg steamed momos (Rs 35), although they take their own sweet time to come since the lady says that momos are cooked only once the order is taken. You’ll get other usual suspects like thukpas and noodles, too. Ever tried thenthuk? It’s a noodle soup served as dinner in Tibet. They have it here. You may also like Tibetan sausage (Rs 55). By the way, The Delhi Walla swears by Dolma House’s strawberry lassi (Rs 20). Besides the food, Dolma House has character. The afternoon I was there, the table next to me was taken over by truly ethnic Tibetans. The men had weather-beaten sun-tanned face, thanks to the high-atitude sun of their native land; and their wrinkled women had ears stretched super-long to enhance their beauty. It was like being in a Tibetan village. But yaks were missing. Otherwise Dolma House is usually crowded with jeans-wearing Tibetans who make slurping noise while swallowing noodles from their bowls. Ask for chopsticks if you want to eat their way. I’ll say that the best tables are in the partition on the right side of the entrance. There, sitting by the glass wall, you would also got to watch the street life outside. And yes, don’t look puzzled if the Indian waiter hands you a notebook and a pen along with the menu. In most eateries in MT, the guests are expected to jot down what they want on a piece of paper. I understand that it avoids confusion that could result out of mispronouncing the names of these unpronounceable Tibetan dishes. Dolma House also has rooms to stay, but it seems Tibetans and firangis are more likely to get admission. Opened in 2008, it is one of the hippest places in MT. Plush and sleek, it is situated in a basement. 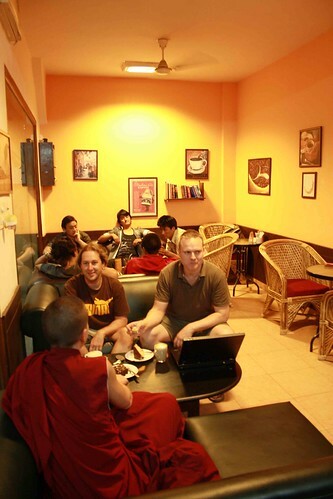 Here you find modernity mixing seamlessly with Tibetology — saffron-robed lamas (including the gora monks) tap on laptops even as MT’s young-and-cool crowd keeps up with the latest gossip. Coffee is as interesting as you find in any big retail chain; the brownies (Rs 35 each) are good, the fruit cake nice and crumbly. The doughnuts at Rs 10 each are the most popular selling item here. All the baked goods, by the way, are homemade. Situated in the pebbled square at MT, come here in the evening, around 6 pm or in the morning around 9 am, when the monks start their chanting. You may finally find your nirvana. The room inside is lit with lamps and the closed air smells of butter. The Buddhist chants, if you are spiritually inclined, will make you quiet and introspective. However, the lamas here are very nice people and they don’t mind if you are one of those horrible tourists who would shamelessly snap pictures not caring for the sanctity of the place. While leaving, don’t forget to take a look at the large prayer wheel just outside the entrance. Built to commemorate the 2500th year of Lord Buddha’s attainment of nirvana, this park was dedicated to the 14th Dalai Lama in 1993. While you would find lovers busy doing their thing behind the bushes, the large statue of the Buddha may make you long for a visit to the real Tibet. If that’s too far, go to the Indraprastha Millennium Park, next to Sarai Kale Khan ISBT. The 30m high Vishwa Shanti Stupa was unveiled by the Dalai Lama in 2007. This is the place for junk shoppers who want to deck up their drawing room with the mystic mood of Potala Palace. Almost 40 years old, this market has all the touristy Tibetan trinkets you can dream of — from necklaces to prayer bells to masks to little Buddhas. 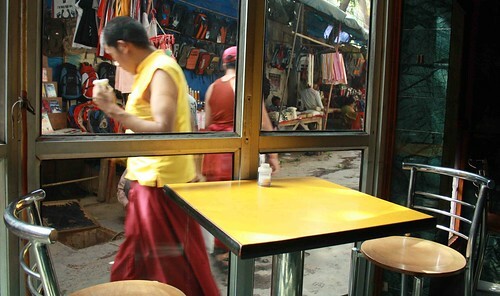 The Tibetan Market was spruced up in 2007 by Delhi’s Municipal Corporation and perhaps that’s why it looks a bit drab. Tucked away in a leafy zone, this five-storey complex has a museum of Tibetan art and artefacts, and a library (no membership required) with over 5,000 manuscripts and books. A must-visit for any serious Tibetologist. Where 1, Institutional Area, Lodhi Road Time 10 am to 5.30 pm (1-2 pm lunch). Closed on weekends. “Ask for chopsticks if you want to eat their way”. WTF? no.Most tibetans don’t eat with chopsticks even though restaurants in MT have it. Trust me on that. 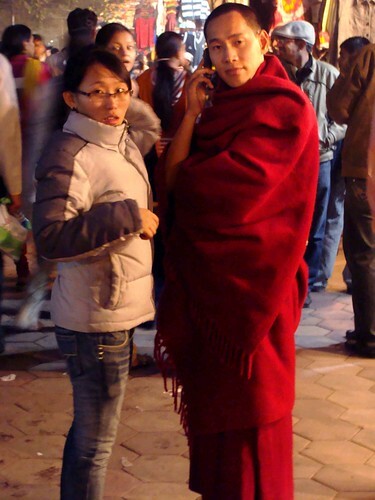 I’m a tibetan born in India and now living in North America. I’ve been to the homes of many tibetans and have hardly seen anyone using chopsticks to eat food, yes even thenthuk! and no i’m not just talking about my experience here in canada but also in america, india, nepal, you name it. Of course,i’m sure there are a few tibetans who may have chopsticks at home(but mostly for aesthetic reason.they hardly use it.eg being my family.we have beautiful one of a kind designed chopsticks gifted to us but till date i don’t recall ever having used it).Traditionally, the chopstick isn’s tibetan at all just like it isn’t indian. It’s probably something we inherited from our neighbor and now occupier China.